Regina’s interesting mobile phone project is simple. 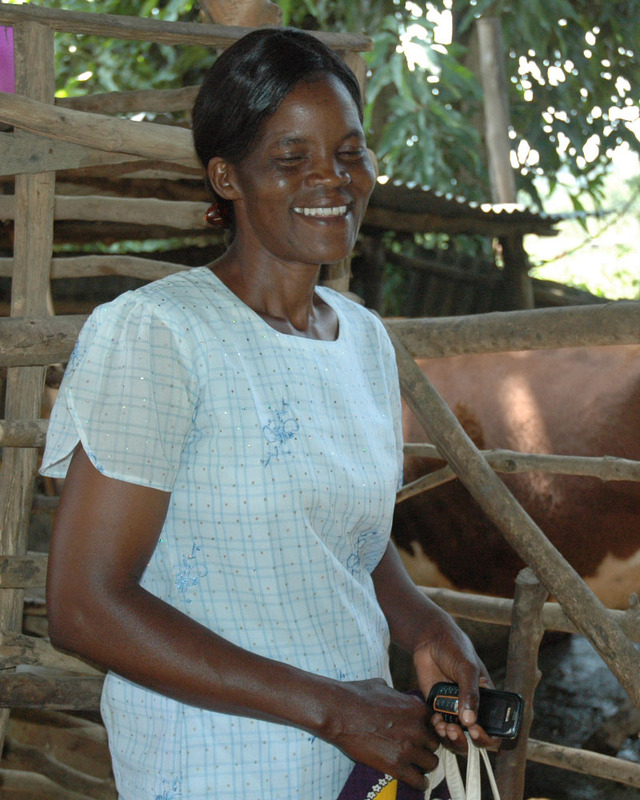 She lives in a remote community outside Busia in west Kenya, and is a one of Send A Cow’s peer farmers (which means that due to her success with organic farming, she now trains other farmers in agricultural techniques.) As more and more of her neighbours begin to buy and use mobile phones, she saw a business opportunity. 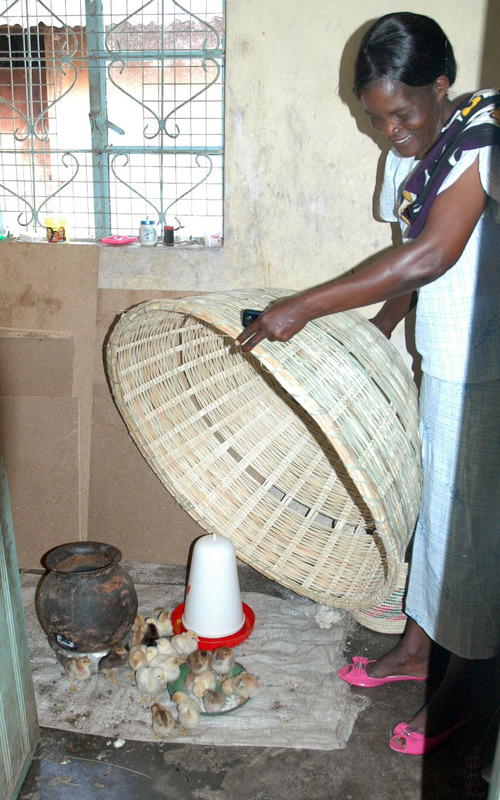 At her house, Regina has electricity, but she is in a minority. Most of her neighbours have to travel a long way to reach charging stations. They’re not uncommon in the region, but it usually means a trip to the nearest town or village which can take a whole day there and back. For these small scale farmers, time is precious. They don’t want to waste it. Unfortunately, one of the burdens of owning a mobile phone is it’s battery life, and to keep it topped up, trips to the town and to electricty are essential. This is Regina’s charging station. By investing in a variety of charging adapters, a broad enough selection to fit the most popular mobile handsets, she offers mobile phone charging on her neighbours doorsteps at 10 Kenyan shillings (just less than 6 and a half pence) a go. 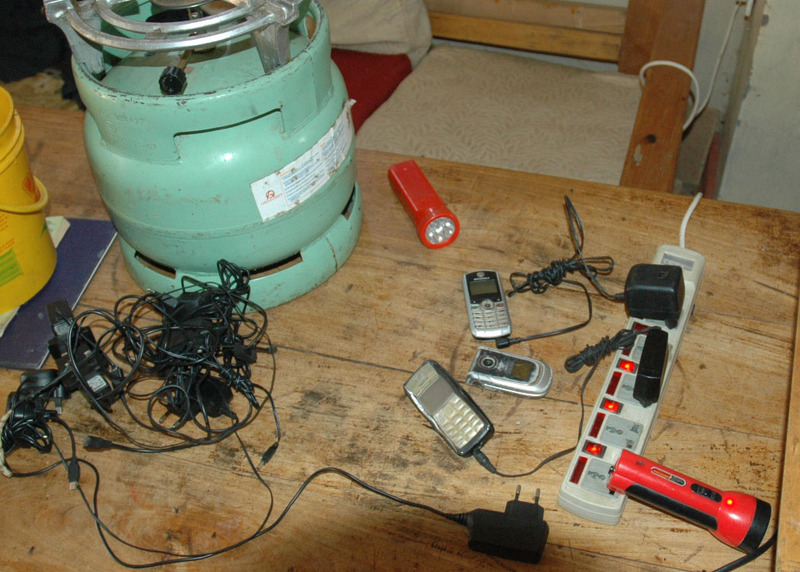 Regina’s charging station is an example of how mobile phones are seeping into the everyday consciousness of people in rural Kenya. Knowing that many of the farmers I interviewed didn’t have electricity in their homes, I often asked them whether this was a problem for them, but they rarely told me that it was. Either they get used to charging when they’re in town. Or they look for other solutions, like Regina, like this or even like this! As entrepreneurs go, you have to hand it to Regina who saw an opportunity, and used it to her economic advantage, alongside the money she earns from her farm.